For decades, early childhood classrooms have utilized building blocks, integrating these simple play things into their classrooms because they work. While children play and create, teachers can use the building blocks as learning tools. When teachers actively participate in playtime, they can use the building blocks to teach several classroom skills and fundamentals. First and foremost, building blocks in preschool teach fine motor skills. Babies begin to learn the art of stacking blocks before they turn one. Preschoolers master this skill. Practicing fine motor skills prepares the hands for writing and using scissors. Children also use gross motor skills to stack larger blocks. Both small and larger sizes, however, work on hand-eye coordination and balancing skills. Each time the building or tower falls down, the preschooler tries to build it higher. Teachers should quietly observe and notate how many blocks the children can stack at the beginning of the school year and see how coordination improves by the end of the year as evidenced by tower size. There are also a number of curriculum concepts which can be taught using building blocks as learning tools. Preschool math, for instance, involves number recognition, shapes, patterns, and sorting. Teachers can use building blocks in at least three of those categories. Building blocks are now offered in a variety of shapes. Preschool teachers can have their students sort the blocks into different shapes and identify the name of each shape what makes them different from one another. The students can also sort blocks based on color or size. Preschool teachers begin introducing patterns to their students. Recognizing and creating these patterns is a fundamental math skill. Teachers can build block towers with different colored patterns, then ask the children to finish the patterns. Once the kids learn to recognize repeating colors, they can create their own building block patterns. Creativity stimulates the brain and encourages learning. Using building blocks as learning tools in preschool help engage the creative side of the brain to think outside of the box. Blocks of different shapes work best for this type of play. At the beginning of the school year, teachers can give their students blocks and tell them to build whatever they want. Many students start out with simple towers. Then, the next day, the teacher tells the students to build a block house. As the creations grow more unique, the instructor makes the projects more challenging. By the end of the year, let the children build whatever they want and see if their creations are more creative than simple towers and houses at the beginning of the year. Building blocks do much more than fill time between classroom learning time. 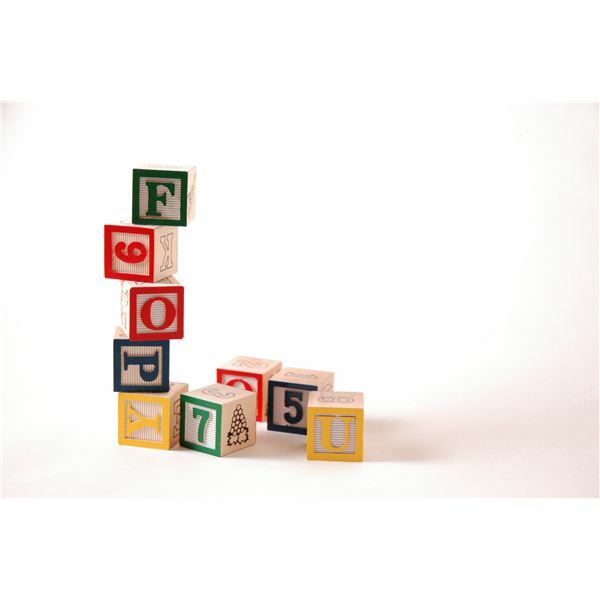 In fact, using building blocks as learning tools helps develop creativity, introduce math skills, and develop motor skills. Teacher interaction with the students during block play helps maximize learning.